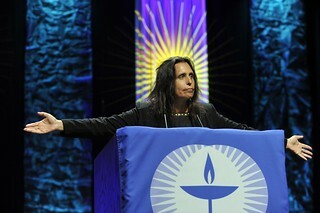 Newspaper Rock: LaDuke on Gaza: "We are Israel"
By Edward TellerWinona LaDuke is a powerful voice in the global fight against a host of evil actions and ideas. She is as progressive as progressive gets. In my actions and ideals, I find her as an ally in many areas. Currently, that has to do mostly with our unconnected fights against insane coal development projects. Comments at the Facebook post were dominated by a couple or few people who were hostile to anything that might be critical of Israel’s actions in Gaza this past week.For more on the Indian-Palestinian connection, see Parallels Between US and Israel and Mass Murder in Gaza and Hiroshima.